Ruddy cuckoo dove Macropygia emiliana, photographed by Johannes Pfleiderer. Macropygia, the cuckoo doves, is a genus of pigeons found in southern Asia and Australasia. 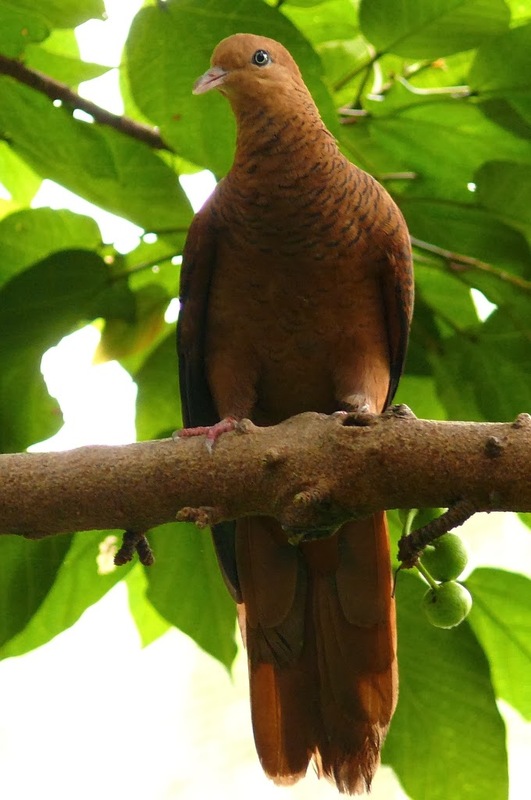 Members of this genus have brown plumage, usually more boldly barred in the females, and long, graduated tails.